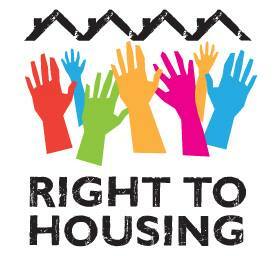 After National Housing Day: TAKE ACTION! – We need a national housing strategy now! After National Housing Day: TAKE ACTION! Thank you to everyone who took taking part in our National Housing Day event on November 20th in Toronto! Next Steps… Let’s continue to build and TAKE ACTION! People are forced to wait many years for social housing because the waiting list is too long. The provincial government must make private market rents more affordable and raise the shelter allowance for people on social assistance to an adequate amount that meets real need. The provincial and municipal governments must pass and implement inclusionary housing laws that require affordable housing in all new developments. View more photos of the march here, here and here.